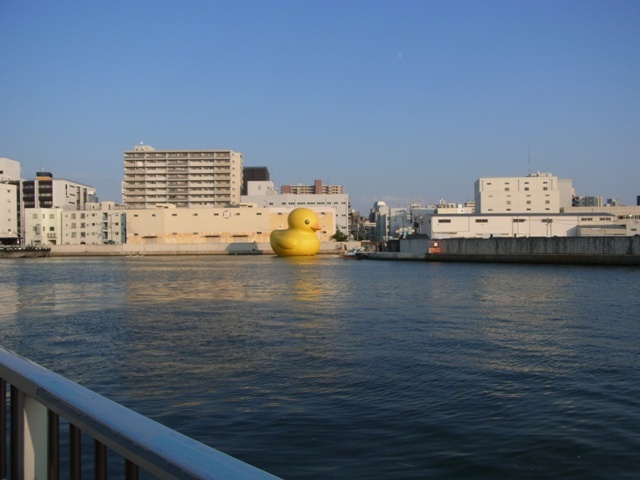 Sometimes, the big rubber duck appears in Osaka. 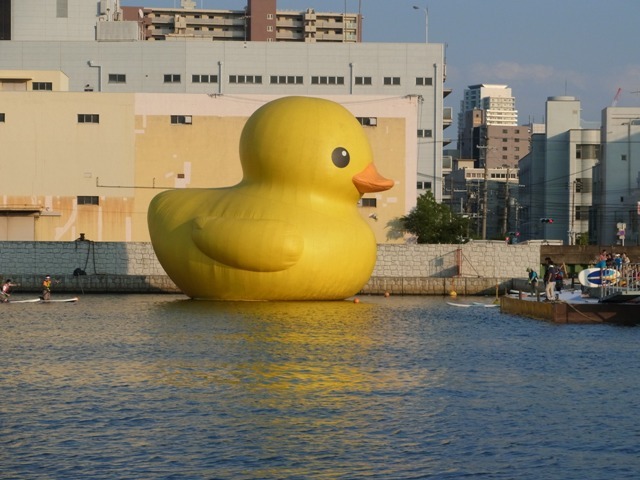 This year, it appeared until October 18th for Suito (Aqua Metropolis) Festival. 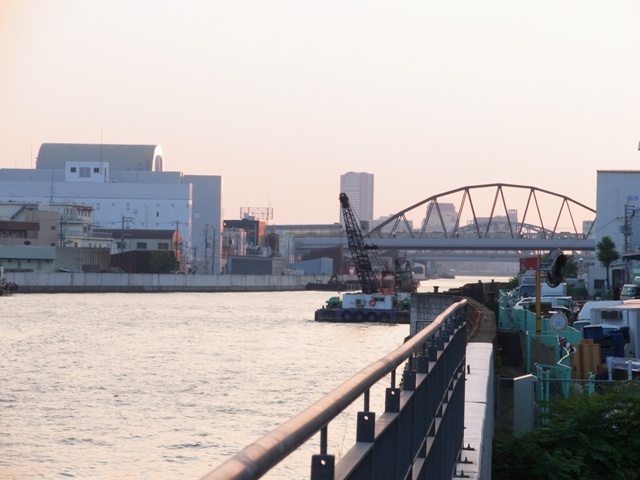 Osaka is known for its number of the rivers. There are lots of small rivers in Osaka. 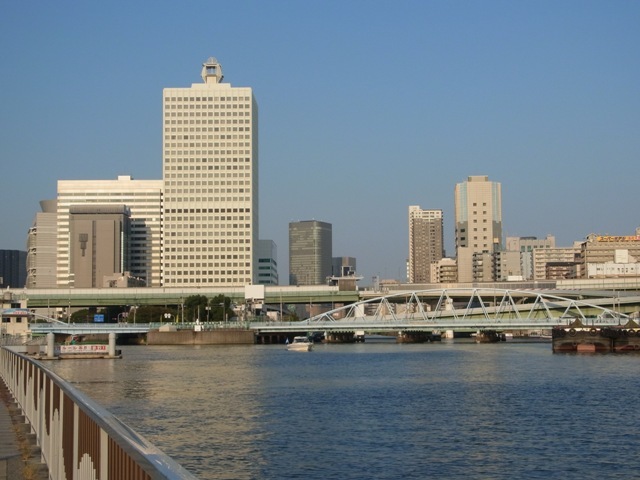 In Edo era, it was said that Osaka had 808 bridges. The number was not actually 808, but it meant a lot. 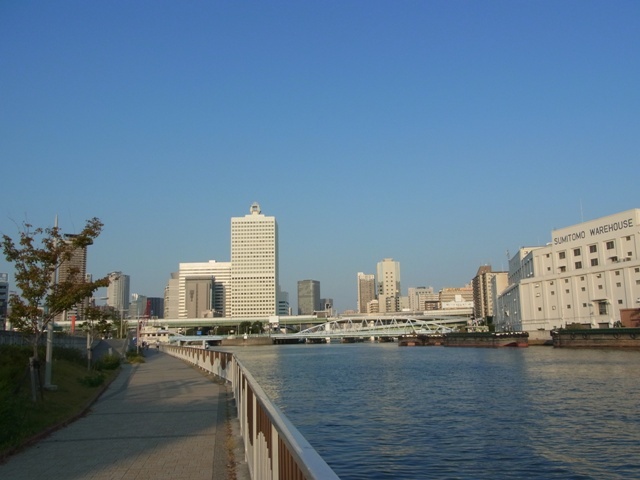 This area is now called Nakanoshima gate, because the edge of Nakanoshima, downtown Osaka, can be seen. The Aji river flows to Osaka Bay. 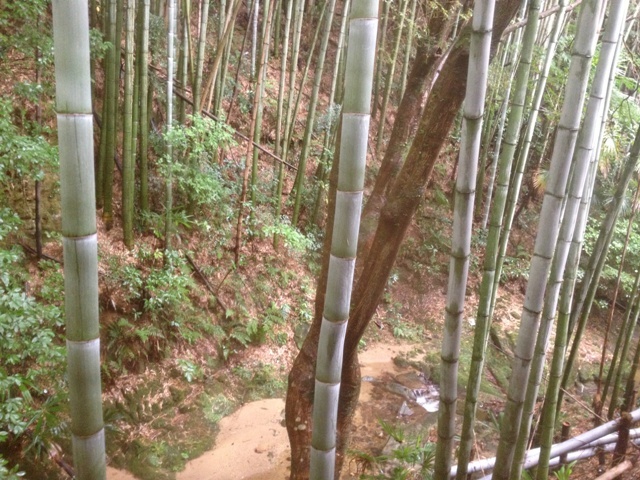 I think this is typical Osaka Scenery. 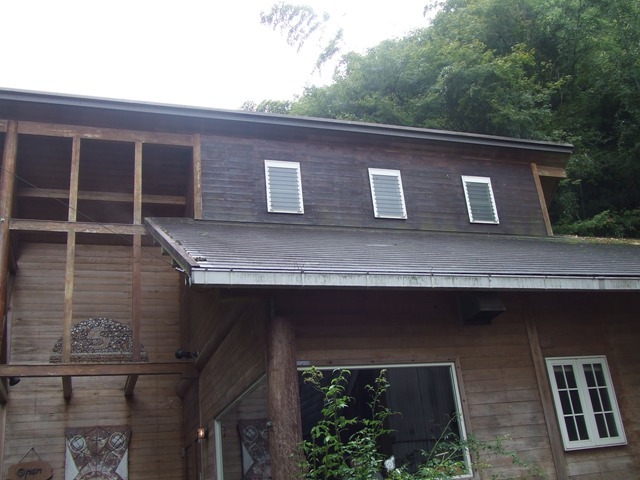 In Osaka, there is a restaurant in the mountain valley. 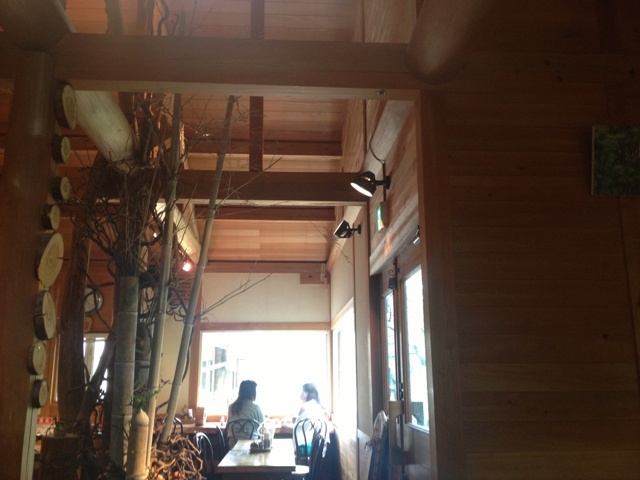 They are open for lunch time, and tea time after 2 o’clock. The name of the restaurant is “Hanana”, and it is in Izumi City, the southeast part of Osaka Prefecture. It’s not far from the center city. Well, you need a car to get there though. They serve vegetables grown in their garden. 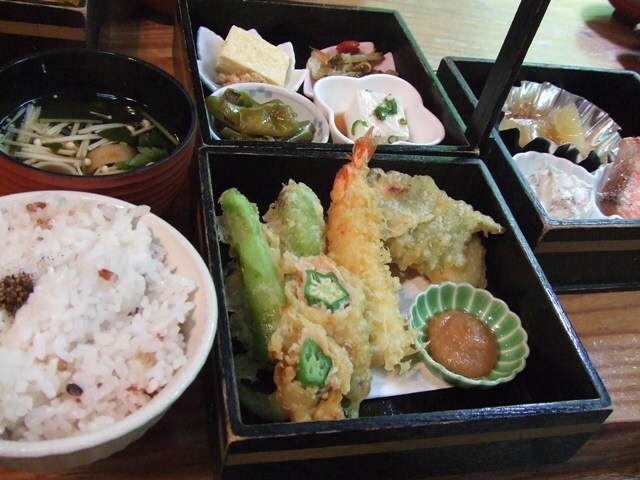 I had tempura, and I love tempura. The owner is originally a lumberjack. 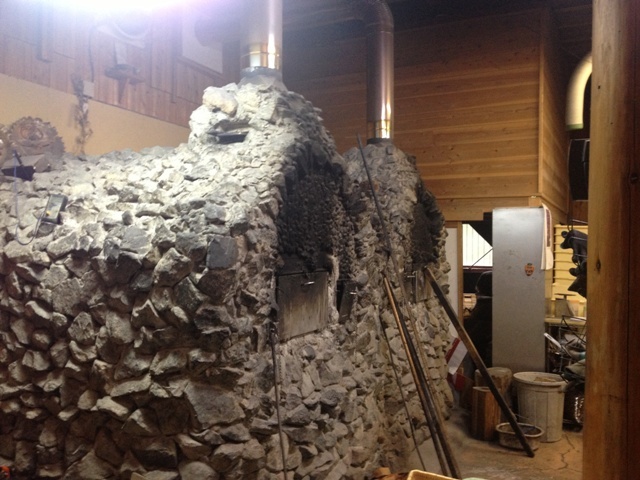 They even have kilns where they use firewood. 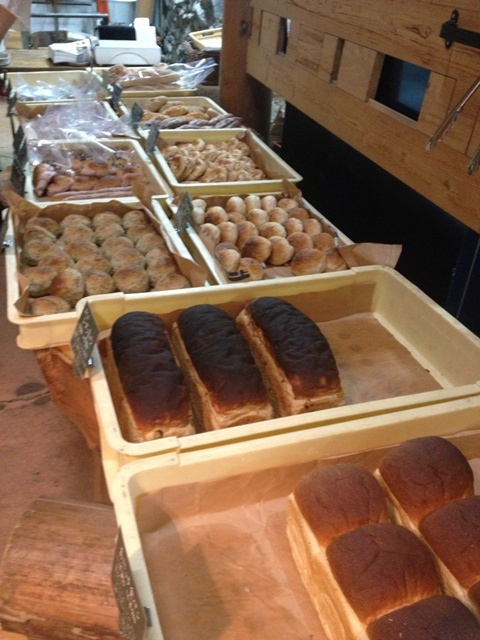 They bake bread in there. I bought some and it’s the most delicious bread I have ever had! So nice, and I felt like I had gone to some resort place,,,, just for lunch time. 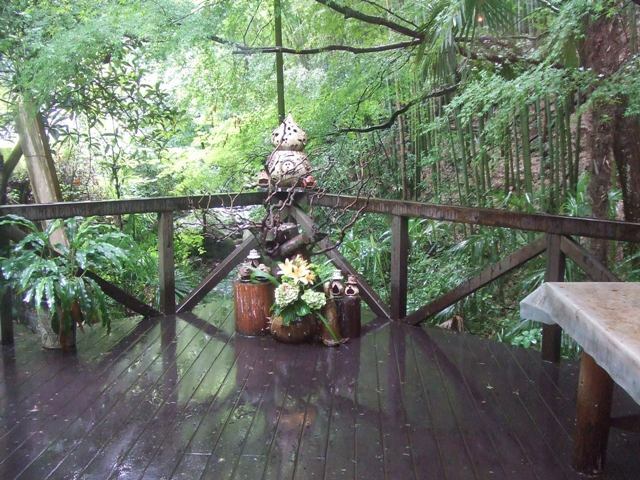 Great place to feel the nature.